and we train the Polo-Team Aspern ~uno~. Close to Hamburg in a beautiful scenery. An old manor invites you to the world of the polo sport. 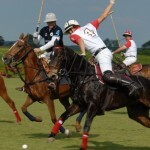 Learn the art of the polo.